From the moment I approached the registration desk of the 3rd National Joint Conference of Librarians of Color, to my shared ride back to the airport with ALA’s President-Elect Wanda Brown, I felt the energy of librarians that were eager and anxious to join conversations that explored and sought answers to issues of diversity in libraries. There were no “Elephants in the Room”. Everyone recognized why we were there and came to embrace the opportunity to listen, hear, share and grab hold of acceptable solutions that would not only make the profession of librarianship appealing to people of color, but also to make our libraries mirror the people we serve . There was a smorgasbord of sessions. Since I couldn’t clone myself I had to make some tough decisions in selecting what I would attend. 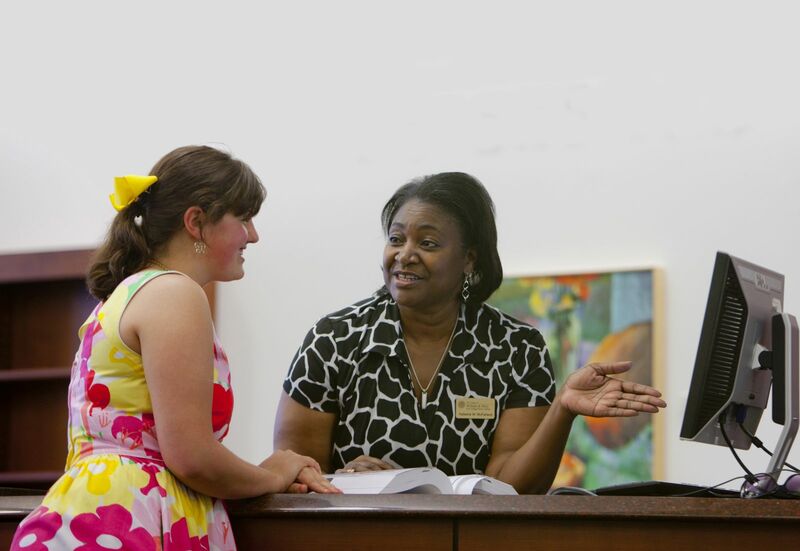 I started out with “From Safe Spaces to Brave Spaces: Rethinking How We Talk About Diversity in the Library Profession” with Samantha Hines, Associate Dean of Instructional Resources at Peninsula College. Hines shared a new approach to structuring discussions around diversity that move away from the “safe space” model to a “brave space” model. It shifts from defining the environment as the comfortable place where participants are eager to share honest thoughts regarding controversial issues of diversity to more of a brave space where participants are encouraged to engage in conversations that are challenging and risky. I continued on that same track and attended “iCount@ the Library: Building a Culture of Equity”, which was led by librarians at Los Angeles County Public Library. In this session, librarians discussed how LACPL library leaders used the desire to make a “lasting impression on their customers’ quality of life”, to lead the creation of the iCount @ the Library initiative. The initiative addressed the concerns and issues of equity among more than 3.8 million residents of Los Angeles County. Staff at 87 libraries made conscious efforts to create, plan and promote programs that provided equity of service to all users. After those two sessions, my stomach was telling me it was time for lunch. This is where I had the opportunity to meet so many wonderful people and eat food that was just amazing. There was this cute little Mom & Pop sandwich shop on the corner that made the best Gyros with freshly grilled green chiles. As a matter of fact, they put green chiles and onions on everything and this was right up my alley. While waiting in line, I met librarians from all over the country and felt equal and accepted within my surroundings. By the end of the day, I had plenty of new friends to eat more meals with. After all the food, I needed something a little different, so I attended a Bullet Journaling session. I had only a slight idea of what I was getting myself into but found out really quickly that bullet journaling is a lot of work and I wasn’t having it. It’s a journaling and quick note-taking system that uses bullet points and symbols to categorize and track thoughts, past, current and future tasks. It’s like a diary, to-do list and planner all in one. The next session was the highlight of my day-“Walking the Tightrope: Champions Building Strategies for Retaining Librarians of Color”, led by ALA Past President Jim Neal and five champion panelists. Panelists discussed challenges of retaining librarians of color as they represented each of the affiliate associations – American Indian Library Association (AILA), Asian/Pacific American Librarians Association (APALA), Black Caucus of the American Library Association (BCALA), Chinese American Association (CALA) and REFORMA, the National Association to Promote Library and Information Services to Latinos and the Spanish Speaking. For me, just finding out that some of these affiliates existed was a treat. Not only did the panelist discuss challenges, they also offered sound advice on how to survive as a person of color in the field amongst so many that are different and may not understand your background. Later in the evening, I attended the JCLC 2018 Scholarships and Awards Gala. Each of the affiliate associations presented their scholarship winner, and JCLC presented awards for Advocacy, Distinguished Service, Legacy, Rising Leader, and the Author’s award. All of the recipients received hand painted award plates that highlighted representations of their culture. The food was great, the music divine, and it was a beautiful night that celebrated current and future librarians from diverse backgrounds. The next day I was up early, and ready to meet my new found friends for a walk before attending the session, “Judging or Joining? Conscious Actions for Inclusion”, with Mark Puente, Director of Diversity and Leadership Programs, Association of Research Libraries and Nikhat J. Ghouse, Associate Librarian at American University. Mark was the only familiar face that I spotted at the conference, and was scheduled to come to Swem the next week, so I had to get to him to say hello. Since I hadn’t yet visited the Exhibits, I spent the next few hours wandering around the exhibit hall and meeting new people. 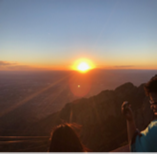 This resulted in my making plans to skip dinner and summon an Uber to the Sandia Mountains to take a ride on the Sandia Peak Tramway. But, before it was time to go, there were more sessions to attend. –So hold that thought. After cruising the Poster Session, I dropped in “Confronting the Monolithic Library: Why Empathy is Key to Achieving Inclusive Excellence in Your Organization”. First, I had to look up the meaning of “monolithic” and put it in the context of the library…no shame, I’m still learning. The session focused on ways empathy can be used to improve inclusiveness. An example of this is being more understanding of those who are non-native English speakers by making efforts to offer resources and services in native languages. The last session of my day – “Construction Up Ahead: Removing Roadblocks for Hiring & Retention in the Academy”, was also a highlight for me. Librarians from Bowling Green State University were not shy about discussing some of the adversities that University libraries, such as theirs, face in recruiting, hiring and retaining diverse librarians. The major point that I took away was that it’s more effective to build a diverse and inclusive environment with current staff, by educating and training staff on diversity issues and cultural differences, prior to making the commitment to recruit and hire new staff from diverse backgrounds. Creating this type of platform allows diverse hires to enter into settings that are ready to embrace cultural differences and perhaps committed to equity and inclusiveness. Recruiting and hiring diverse staff is only the beginning. If new hires don’t feel like they are part of an environment that values, respects and gives opportunity to all people equally, they are likely to look for those environments elsewhere. After all of this, I got with my new found librarian friends and headed out to the Sandia Mountains. Once there, we rode the aerial tramway that moved slowly above the terrain for a distance of 2.7 miles. The tram takes you to an observation deck atop 10,378 Sandia Peak in Cibola National Forest. We made it up alright and I held down the fort for my scared new friends. We could see for miles (11,000 panoramic square miles to be exact). The sky was crystal clear and the weather was 30 degrees colder than ground level. One of the ladies in the group forgot to bring a jacket, but I had an extra sweater, so I let her borrow it. That’s what you do when there are no barriers of diversity in your life. You just treat everyone the way you want to be treated and enjoy life. We certainly enjoyed watching the sunset together. There was so much more to this conference. I can’t record it all and what you’ve read here is just tidbits. Never have I been in a conference environment that made me feel that “I belong”. That in itself is enough to keep me pushing forward to serve my profession and my community by striving to be a part of any conversation that promotes diversity in libraries. I’m thankful that I work in a library that values diversity and supports these efforts. Coffee anyone? :) I might be able to recall more.